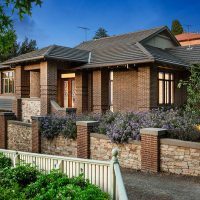 Homes of Imagination is a registered builder with over 30 years of expertise in the Victorian Building Industry. The Building Practitioners Board is an independent statutory body established under the Building Act 1993. It oversees the quality and standard of professional services in the Victorian building industry. In doing so, it administers a registration system and monitors the conduct and ability of registered building practitioners. The Master Builders Association of Victoria was established in 1875 by a group of distinguished builders intent on raising standards within the industry. We continually assist in developing the skills of our members by providing access to a wide range of services, an impressive degree of recognition, as well as representation to government and industry. Master Builders also serves the public of Victoria by fostering best practice work standards and acting as an independent advisory service. Over our 140-year history, the Master Builders Association of Victoria has consistently provided innovative services for our members and their clients; we exist to serve their needs.